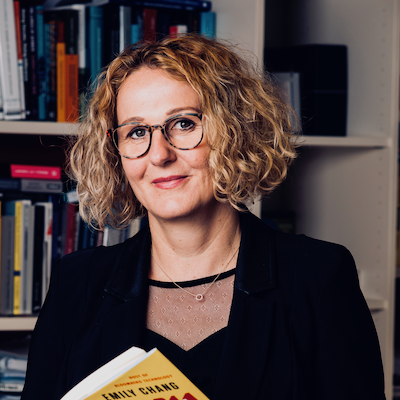 I am a Full Professor of Labor Science and Organization at the TU Wien and Academic Director of the MBA Program Entrepreneurship and Innovation. I received my PhD in Social Sciences from the University of Vienna. My research background is in decision and negotiation support systems and mediation as well as in organization and gender studies. I was a visiting scholar, amongst others, at the University of Aarhus (DK), University of Ottawa (CA), Victoria University Melbourne (AU) and I have published my work, inter alia, in Decision Support Systems, Group Decision and Negotiation, Armed Forces and Society and Journal of Managerial Psychology. My current research focus is on issues of social robotics and new ways of work. I am chairing the Austrian Council on Robotics and Artificial Intelligence and I am a member of the High-level Expert Group on Artificial Intelligence of the European Commission.